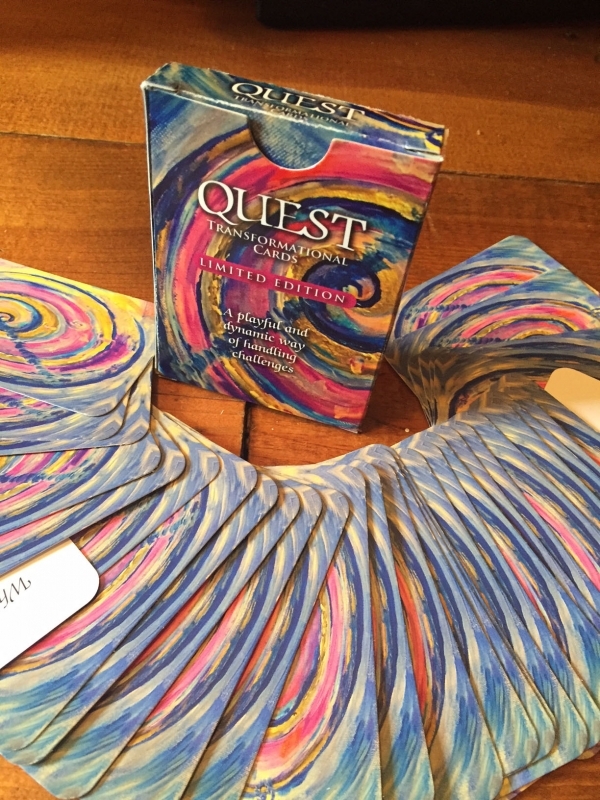 Quest Cards are designed by Tzveta. Size of cards 3″ x 2″. Please allow 3 working days before shipping. 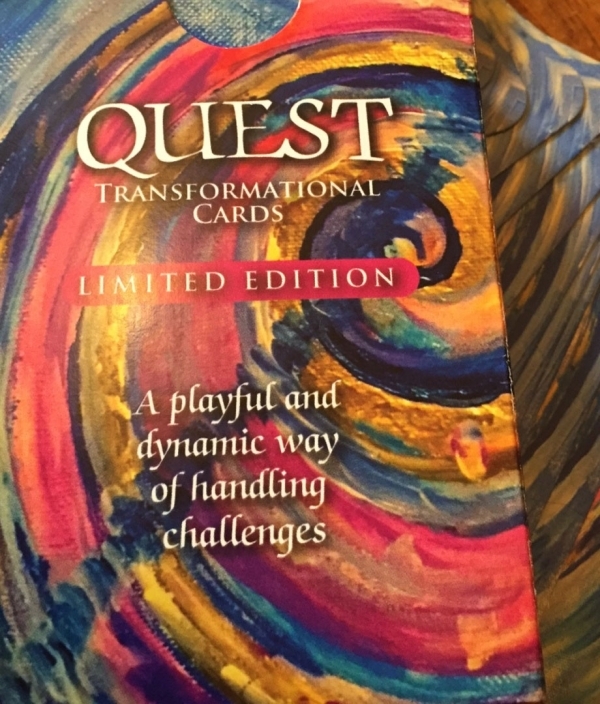 A playful, dynamic way of handling challenges. Knowing who you are is essential to live an extraordinary life. Each of these 36 cards has one question and one affirmation that may help redirect your life, and your journey toward self-discovery and inner transformation. Like a locked door with hidden treasures behind it, questions activate our thinking, provoke self-reflection, help open the door to shed light on our issues. Affirmations redirect our attention, helping us to focus and be more resourceful. They’re like a spark that (re)connects the neurons in our brain, creating different paths for us to experience ourselves and reality in a new way. 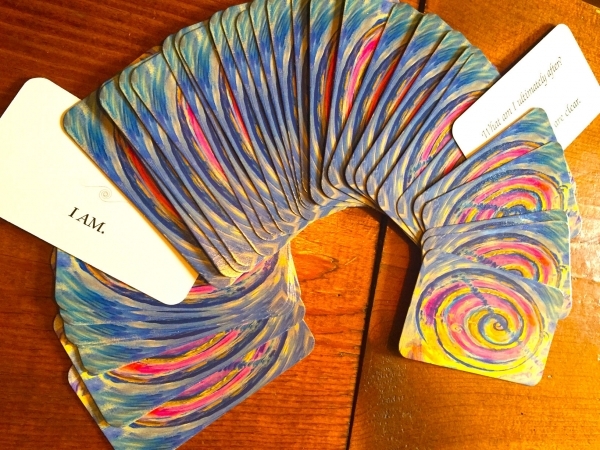 Each card’s question and affirmation has been carefully selected from Tzveta’s own transformational experiences and life coaching practice. Original artwork by Tzveta DaVinci.